It was found a “stone altar dating back to the time of the Incas”, it was believed that this piece had been destroyed in 2014, when the construction of the road of avoidance was carried out. The find was certified by the historian from Cusco Victor Angles. Ollantaytambo has some of the most impressive Inca ruins that can be seen in the Sacred Valley of the Incas; Comparable only to what you can see in Pisac or in the same Inca city of Machu Picchu. Many people take time in this small town to visit the Inca ruins of Ollantaytambo; Also, it is a mandatory stop for people who go to Machu Picchu, because it is in this place where you will have to board the train to Aguas Calientes. A group of workers working on the conservation of the Urubamba River in the province of the same name, in Cusco, found a stone altar that was believed to have been lost since 2014, when it was lost sight of during the construction of one of the access roads to the city. The altar dates back to the Incas (XVth century), it could be a further proof of the Inca’s devotion to water, this liquid element was sacred to the Inca civilization. Where was the altar found? An altar of Inca invoice that was believed destroyed during the works of the road of avoidance in 2014, was found by conservative workers of the deconcentrated direction of Culture of Cusco, during cleaning works of the Urubamba river at the height of km 88 of the way In the district of Ollantaytambo, province of Urubamba. The town of Ollantaytambo is located in the Sacred Valley of the Incas at 2 hours and a half from Cusco City, You can arrive in a collective (minivans) from Pavitos Street. The Sacred Valley of the Incas is one of the places you will enjoy on your trip to Ollantaytambo Machu Picchu; You can see dazzling landscape, the Urubamba River, streams, snowy and small towns full of history and tradition. If you want to know how to get from Ollantaytambo to Machu Picchu, enter here. The Inca altar is finely carved, although only 35% of it can be seen on the river waters, its dimensions are 2.5 meters long, 1 wide and weighs about 20 tons; The cleaning work on the banks of the Urubamba River will allow the Inca altar to be seen in all its integrity. The enormous lytic piece can not be extracted because of its weight and that was covered with weeds and debris. Óscar Montufar, coordinator of the Archaeological Park of Ollantaytambo indicated that “it is not only a question of recovering the altar, but of doing so in all its integrity”; In addition they will have to relocate it. This piece is a further indication of the water cult practiced by the Incas. The altar of the Urubamba River was registered and described by the archaeologist and historian from Cusco, Victor Hugo Vargas, in the 1980s. The Inca altar is being subjected to cleaning and other routine treatments to stabilize and consolidate it with the support of personnel Specialized in the chemical physical laboratory of the Directorate of Culture Cusco. Where can you see the altar? 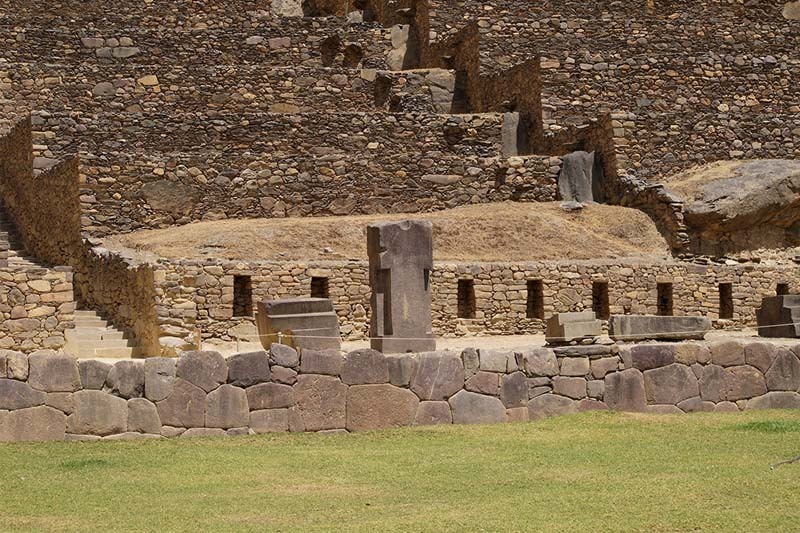 It is not yet decided where the “Inca altar” will be placed, there are two possible places; One of them could be placed in the Plaza de Armas of Ollantaytambo; However, another alternative is to put it inside the Archaeological Park of Ollantaytambo. In our opinion, this is where an “Inca altar” should be.